How to use Coupon Code to get your promotional discount! 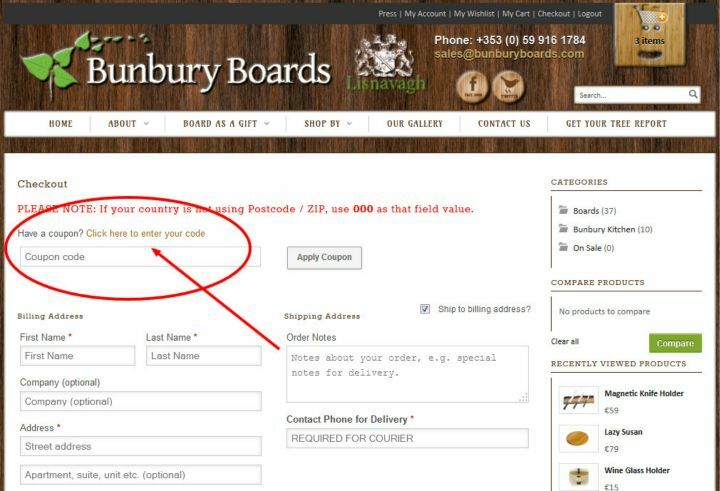 Here at Bunbury Boards we occasionally release Promotional Coupons which you can use to get a discount with your purchase. You can use these coupon codes while visiting your Cart or during the Checkout process. Images below are showing the exact places where you can type in the Coupon Code. 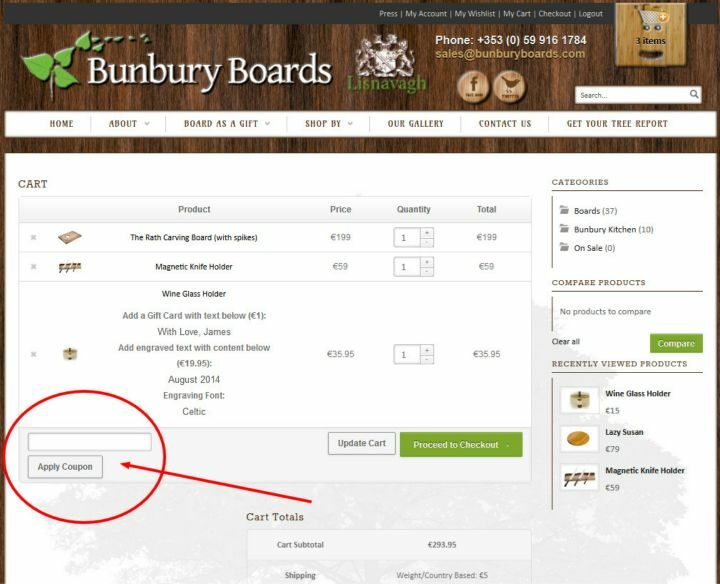 If you’ll get stuck during the process, or if something is not working as expected, don’t hesitate to contact us by calling +353 (0) 59 916 17­84 or emailing sales@bunburyboards.com. We’re here to help!